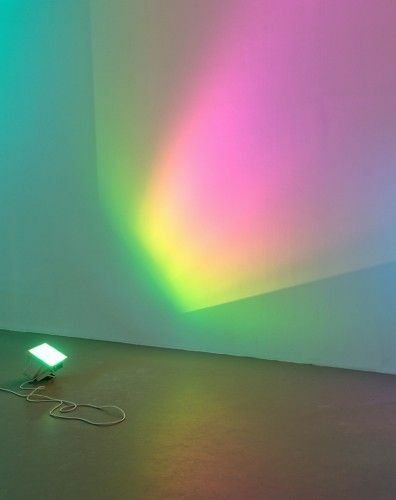 White Cube is pleased to present an exhibition by Ann Veronica Janssens at Bermondsey. This is the first extensive solo exhibition of Janssens’s work in the UK and includes new and recent sculpture and installation. Janssens explores spatio-temporal experience and the limits of perception through precise installation and minimal sculpture. ‘I investigate the permeability of contexts’ she has said, ‘[...] even as I propose a form of deconstruction that fragments our perception of these contexts.’ Her first works, made during the 1980s, were constructions or spatial extensions of existing architecture such as Gallery inexistent, Antwerpen (1988), an installation created by stacking borrowed concrete blocks in a gallery space. Since then, however, she has often applied scientific knowledge to the use of non-material mediums such as light, mist or sound. Her works can act like triggers, encouraging heightened visual awareness by exposing or revealing the transitory conditions of particular situations and a slowing down of perception.